Just a quick update. Zack has been scheduled as an add-on to the surgery schedule at Cincinnati Children’s on Wednesday. We will not know what time his surgery will be until that day. Zachary’s surgeon has told us that she intends to do a stoma pexy, just like he had in January. I’m sure there will be differences as the man who developed this surgery was a surgeon there until just a few months ago. Zack’s surgeon here had never performed one before and, although he did a great job, having the surgery done where many have been performed before gives us much peace. The idea of doing this surgery is to perform the least invasive procedure to get his prolapse under control. We will need to be back in Cincinnati on July 8 for Z to undergo extensive GI testing. At that time we will discuss our next steps. Obviously, anytime my child has surgery it makes me nervous. However, this time I am excited for Zack. I am excited for him to feel better. I am excited for him to be able to go out and play with his friends. I am excited that we might actually get this crazy stoma under control. I am excited because at least something is happening. 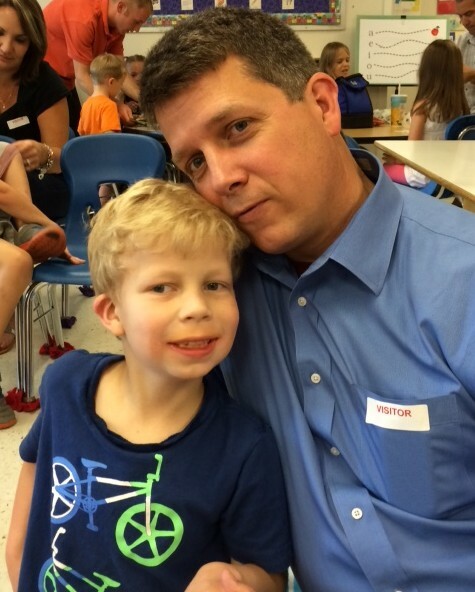 On Friday, Zack completed Kindergarten. I am so proud of how hard he worked this year given all the obstacles he had to overcome. I will leave you with this picture from his Kindergarten celebration picnic. We will do our best to update the blog as soon as we know more. This entry was posted in Cincinnati Children's Hospital by Dawn Penrod. Bookmark the permalink. We will notify our whole prayer group for all of Wednesday. You are in lots of prayers each day, but there will be a special emphasis that day. When you go back up on the 8th, how long do you expect to be in in Cincinnati? Will this be the 2-week version? Love and hugs to all. Have a safe trip, see you soon. If you need anything, let us know! Love, prayers and hugs from AZ..